As someone who is naturally reflective and analytical with a touch of perfectionist, it is incredible to reflect on this trip. I continuously forget that this was a class because I learned so much about the world and about myself, about other people in Louisiana and about my fellow bookpackers. I learned about humanity, about the value of education, about moving on from one day to the next. My birthday is coming up, and another year means another reflection on my life over the past year. This bookpacking excursion was the perfect finishing touch to my year—it put the majority of my past year into perspective while also teaching me so much more. This past month has honestly been one of my most favorite months of the past twelve. In the hope that I don’t get too philosophical or sappy, I’ve chosen some of my favorite lines that I underlined while reading the books for this class. When I read books, I actively read and mark up the pages of a book in two different ways: for educational purposes, for future papers, etc., and then for my own enjoyment. I read somewhat quickly so I tend to underline things I love without really soaking it all in, but now that I’ve flipped through all the books we have read over the course of the semester I found a common thread in what I enjoyed most. Virtually everything I underlined and starred as being important to me had to do with life, life compared to death, and, more generally, existence. A great number of characters, if not all the main characters, in the books we’ve read have gone through awakenings where they learn more about themselves and their lives. I’d say I was right there alongside with them. This goes for New Orleans and for the experience as a whole, but so many incredible memories and friendships were made over these past weeks and I can’t imagine ever forgetting them. In context, the Creole grandmother is appalled that her granddaughter who has almost been kidnapped by her birth mother’s boyfriend will have to live in a place like Texas without her comfort food and without Catholicism. While the religious aspect of this quote is too complex for me to cover in one blog post, I can definitely touch on the food aspect of the quote. introduced me to so many amazing foods and restaurants. I never thought I would try oysters or liver pate, but I tried foods for the first time during these past weeks we have spent in Louisiana. 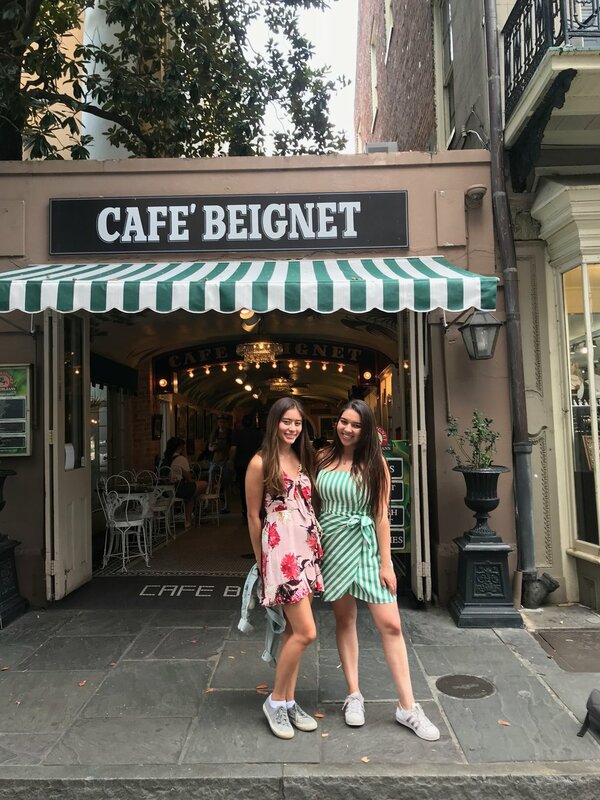 I never thought I would be able to tell New Orleans locals that I have been to iconic restaurants such as Antoine’s, Commander’s Palace or Napoleon House, but I have and now have the power to give restaurant recommendations for New Orleans. I could not have gotten through this time without food, and especially all the amazing foods we’ve been so fortunate to get a taste of throughout our time. This bookpacking excursion has been crazy, relaxing, eye-opening and educational all at once, and I think that that is the joy of reading books in the location where they take place. When I was younger, I always imagined the books I read coming to life and thought how cool it would be to see the world on the page pop up in front of me as a hologram. While this world does not have the technology to really do that, bookpacking is more or less the same thing—it’s also more real and authentic compared to a hologram. I certainly will not forget New Orleans or all the wonderful places we were able to travel to in Louisiana. This experience was truly an experience of a lifetime and I am so grateful I was able to be a part of it. With the chaos of school ending as well as the chaos of my own life, this class, this trip, was a much-needed awakening. In the weeks prior to flying out to New Orleans with 11 complete strangers I was stressed out and not in the greatest of spirits. Next year I will be a senior in college, which is something I still am having trouble fathoming, but I feel as if I have been confused about what my life is going to be like over these next pivotal few years. But after having spent these last three and a half weeks with an amazing group of people, I have learned a lot about myself, have become somewhat less stressed out since those very first days of the experience and have a more positive outlook on life in general. 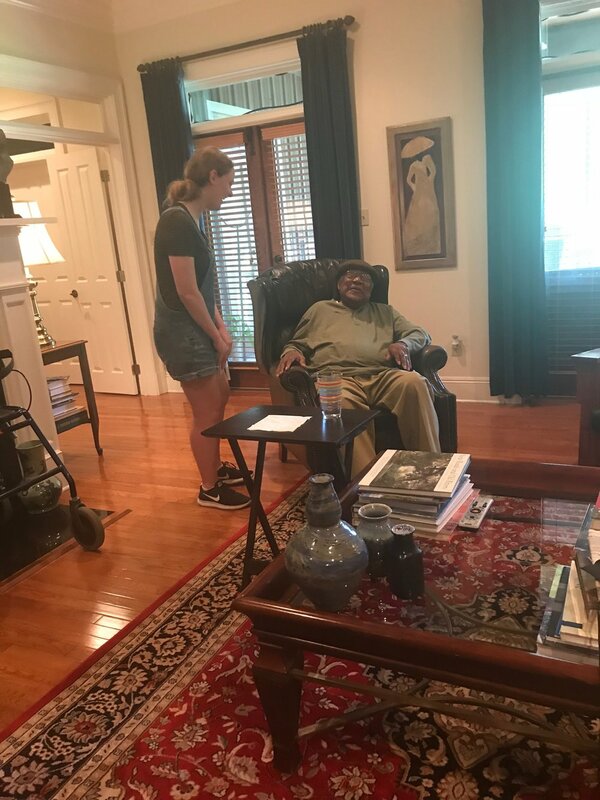 Sure, I learned about Louisiana, about the culture and history of this special place in the United States, learned about the people who inhabit it and have read and experienced what I have read in a way I could never imagine. More than anything, however, I was inspired in some way by every single person on this trip and now feel as if I am starting to find my place in this world. Here we are in the old Pointe Coupee Parish courthouse prison cells: 12 college students and one professor, exploring a place that is far from our home. It is nearly 90 degrees Fahrenheit outside and there’s no air conditioning to cool the hot floor of the building; it seems unimaginable to have to be on this floor for more than a single hour, let alone stuffed into one of the tiny prison cells. There they were, some 75 years ago or so, in a courthouse in the fictitious town of Bayonne that bears striking resemblance to Pointe Coupee today: 12 white members of the jury and one white judge held the fate of black man in their hands at the Bayonne courthouse in Ernest J. Gaines’ novel, A Lesson Before Dying. Jefferson, a black man, is wrongfully accused of a crime he did not commit and is sentenced to be executed by electric chair, a grave injustice. Jefferson is dehumanized by the segregated criminal justice system and is forced to live out the rest of his life until the day he dies in a hot, stuffy and tiny prison cell. In the months leading up to his execution, Jefferson is visited by his Aunt Lou and local school teacher Grant Wiggins who is charged with the task of teaching Jefferson how to become a man before his death sentence. In his godmother’s eyes, Jefferson must be rooted in his manhood before he can meet his maker, so Grant Wiggins is Miss Emma's choice for the man who will teach her godson how to become a man. When Grant Wiggins comes back to where his roots are, he must grow them as he spends time with Jefferson in prison or teaches the local schoolchildren about their place in the world. Although he is unable to comprehend why he cannot leave his childhood home, maybe it is because when he goes back to it he finds the same community in the same despair. Local church/school from Dr. Gaines' childhood that now sits on his residential property. I interned at the courthouse where The State of Colorado v. James Holmes was on trial when I was a senior in high school. The District Attorneys tried hard to convince the jury that James Holmes, who walked into a movie theater in Aurora, Colorado during the midnight premiere of The Dark Knight Rises, the white man who brutally killed 12 victims and injured 70 more, was guilty of his crimes. I sat and spoke with one of the victims’ mother, unable to imagine the pain that she felt losing her own child. I listened to witness testimonies recounting the tragic night. I watched as James Holmes who had dyed his hair bright orange, spun around in his seat as the DA was presenting evidence against the murderer to the jury. The 12-person jury was all white except for one Hispanic woman. James Holmes, a white man and a mass murderer, was found not guilty of his heinous crimes due to insanity. He was sentenced to life in prison even though he had taken the lives of 12 innocent people. The justice system still puzzles and fascinates me to this day. Our class walks around the prison cells; we have a type of freedom that the inmates who once were confined to these cells never had. 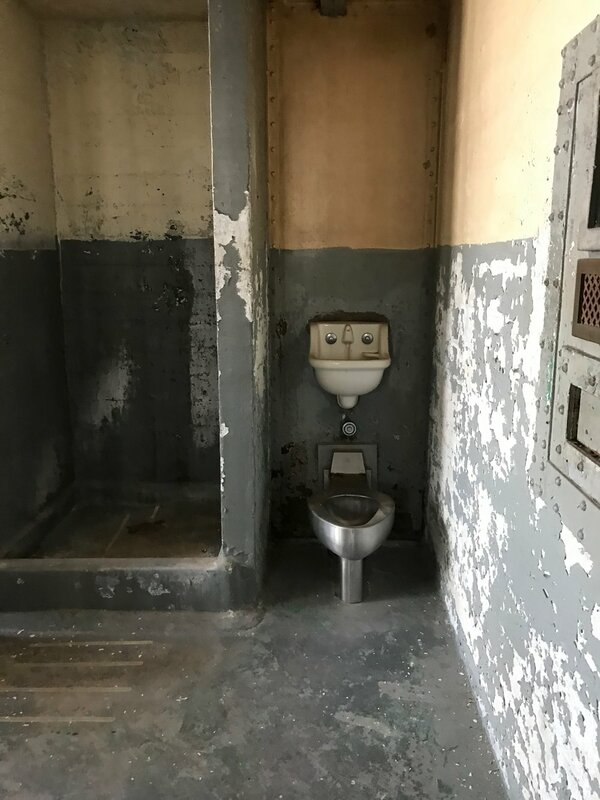 We walk through the prison cells in solemnness, dwelling on the plight of the numerous inmates who were once confined to these claustrophobic and stuffy cells. In one cell, our guide, Tammy, points out a rectangle in the ground where the floor has been welded back together. She then looks to the ceiling and tells us that she believes the round circle is where unfortunate souls would be hung from, their bodies dropping down through the area where the floor was welded back together. Throughout our time taking a tour of the prison cells I wondered about justice and the meaning of such a concept. Perhaps, like Jefferson, many men and women were wrongfully accused of crimes they did not commit and were sentenced merely for the color of their skin: an injustice. For those who were rightfully accused, what was their punishment? Was it just? Was it execution by electric chair like it was for Jefferson? How could the United States of America, a country that prides itself in its roots of freedom and opportunity, be responsible for a quarter of the world’s prison population? Is that justice? Is that freedom? Is that really how this country treats its citizens? We were not even in those prison cells for one hour, let alone a day, let alone a week, a month, a year, multiple years, but I was hot, claustrophobic and felt like I was carrying the weight of the world. I could never imagine being confined in these cells. The place feels so haunted and so horrifying. I was relieved when we hastily went down the stairs to the air conditioned first floor, fresh air never smelled so wonderful. Our class got to meet with the current sheriff of Pointe Coupee, Sheriff Beauregard “Bud” Torres III, who not only is approachable but can also hold a tune; he leads a double life as the "Singing Sheriff" and has recorded his originals songs in New York and Nashville. The singing sheriff plays his original songs for us: he is proud of his work in the same way that he is proud of his heritage. Sheriff Torres graciously sat down with us to talk about Louisiana in general and to tell us about his own family history. 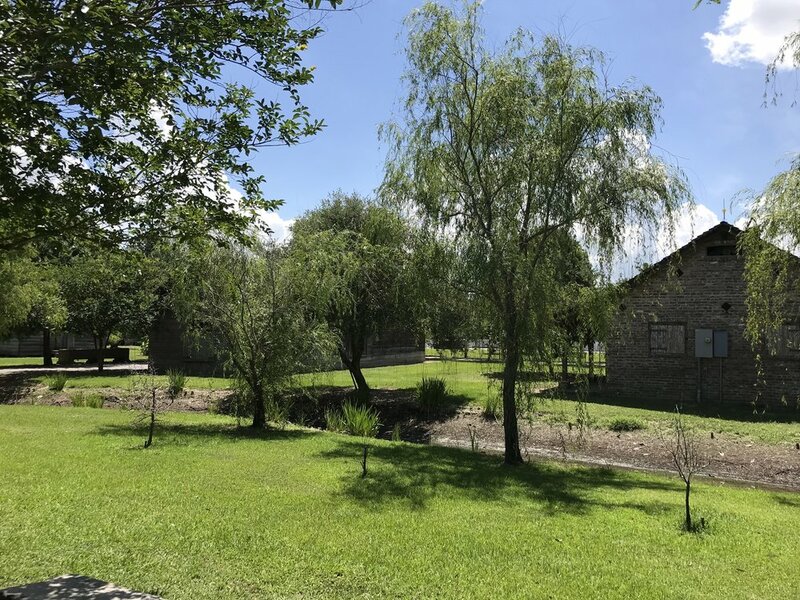 Sheriff Torres can trace his roots back to the original French and Spanish who first came to Louisiana, including famous and integral ancestors who helped shaped this region of the United States. Similarly, I can trace my maternal grandmother’s lineage back as far back as before Christ and am the direct descendant of some integral people to world history including the notorious Christopher Columbus, who, in a way, helped to establish this country. I wouldn't say my roots are perfect, but I would like to think Columbus' descendants have come a long way and have learned from the past in order to try and make the world a better place to live in. The room that we’re all in right now is the courthouse’s press room. Sheriff Torres tells us that, while he’s usually stressed in this room, sharing his songs and family history with us is extremely refreshing. We smile back at him from our spots on plush, comfortable spinning chairs, clouds compared to the hard beds the inmates would have had to sit on in the cells above us. 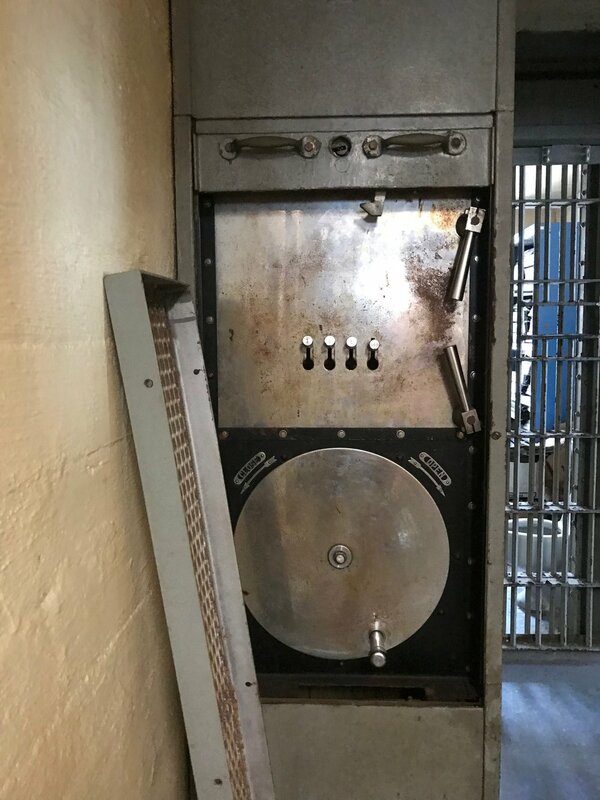 The experience is humbling—all of us in that room are grateful that we only had to walk through the cells, places where distraught inmates once lived, rather than exist in those tiny spaces day after day. The day before we went to the Point Coupee Parish, we were at the state capitol building in Baton Rouge. 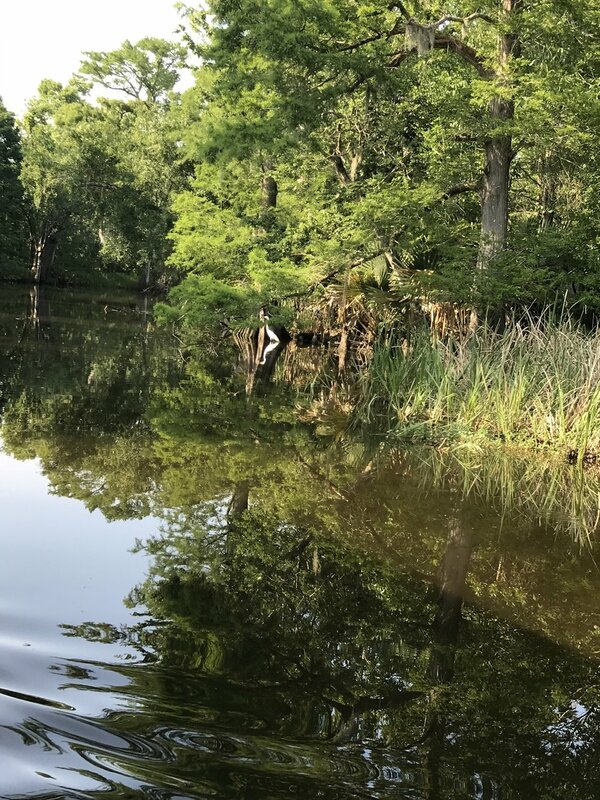 Within two days we walked through the Louisiana state capitol building one day—through the meeting places of the House of Representatives and the Senate and even saw the area where former and notorious Louisiana state governor Huey Long was shot in, only to walk through prison cells in Pointe Coupee the next day. 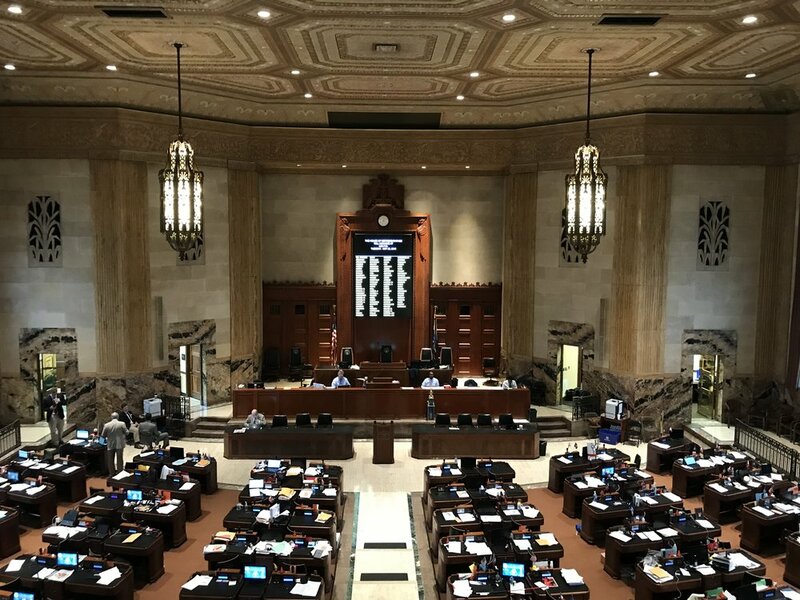 We were able to walk around the building where matters pertaining to Louisiana are discussed and debated and saw the place one could be sentenced to should they break those laws within those two days. Both buildings have state legislative roots in their own ways and serve as reminders of some version of the making and repercussion of our country's justice system, which is clearly not perfect or fair, nor has it been for so many years before. Everything is rooted in something, anchored down in success in the same way it could be anchored down in sin. Roots are important, where you come from is important, but where you’re going, how you treat people and what you do to better the world, is far more valuable. In my opinion, the best books to read are the ones where I feel as if I am in the world of the book itself, experiencing life with the characters themselves. Maybe my opinion relies too heavily on my pursuit of a Creative Writing major, but even when I was younger, I realized that the more I understood the characters in a book, the more I could feel with and for them, the more I enjoyed reading a particular book. When I read Walker Percy’s The Moviegoer for the first time about a year ago, it was hard for me to relate to Binx Bolling, the main character, as he went about his quotidian life, searching for meaning of it, in New Orleans. I had never been to New Orleans when I read the book for the first and knew very little about the social and political dynamics as well as the history of the city, especially in the mid 20th Century, so I struggled when I tried to place myself in Binx’s world. However, I finally felt as if I could understand the locations and settings in the book more when I read it the second time around after spending nearly two weeks in New Orleans. Although I still realized that I felt detached from Binx as a character because I found minimal connection with a white male, a fraternity brother of the Deltas, living in New Orleans in the middle of the 20th Century as a stock trader who goes through his secretaries one by one, I decided that at least my understanding of the place that the book brings to life was clearer this time. I felt as if I could see the places in my head, mainly because I normally could visualize Binx's Aunt's house in the Garden District of the city or Galatoire's Restaurant that is referenced in the book. While the setting came to life, I still thought that Binx and I were completely dissimilar. The Moviegoer follows Binx Bollings as if the character himself had his own reality TV show-- Binx struggles to find love with any one of his secretaries but eventually marries his cousin, he is isolated from the world and oftentimes watches movies alone and he is the older half brother to a number of younger half siblings. Throughout the book, Binx grapples with situations that I have never even imagined. Me at my sorority's LSU chapter house. But then, after I finished reading the book for the second time, I took a step back and re-evaluated my relation with the book and with its main character. 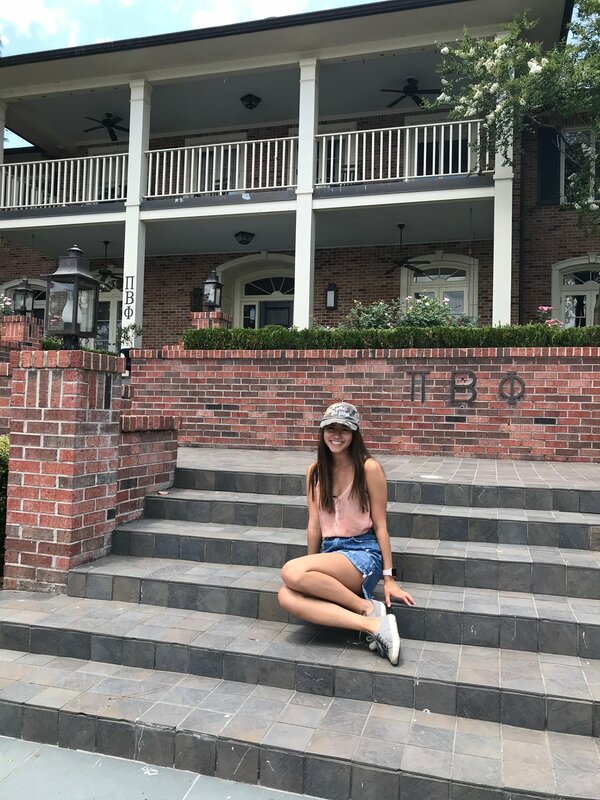 Although I'm not a brother of a fraternity like Binx is, I am a part of a sorority (and I got to visit my sorority's house at LSU!). While I'm not living and working in a city like New Orleans, I still go to school in Los Angeles, an equally vivacious city like New Orleans in its own way. And, like Binx, at the end of the day I'm just trying to figure out how to live life each day. Kate, Binx's cousin and eventual wife, makes this comment about no longer pretending to understand the world. I suppose I would agree with Kate; it's too burdensome to try and understand the entire world, but it's worthwhile to try and understand parts of it. Living in New Orleans helped me to understand a city in a country of many across the globe. So, while I don't try to understand the entire world-- the psyche of every type of person, the cultures in every town, or the beliefs of every religion-- I certainly began to understand one tiny part of it. Our time spent in New Orleans taught me a lot about the little world around me and, more specifically, I learned much more about the dynamics and cultural history of a place that is still rebuilding every day after Hurricane Katrina in 2005, located in a region of the United States that was once incredibly segregated and has gone through multiple personalities under Spanish and French rule. I feel as if I am more connected to the city in a way that helps me understand the book more than I did the first time. I do not understand everything about New Orleans or Louisiana in general in the same way that I'm not trying to understand the entire world, but over these past weeks I have gotten a much better understanding of it. Binx makes this comment about wandering neighborhoods and getting outside into the real world with this sense that he could escape isolation in a room and be a part of something bigger than him, which has resonated with me throughout our time spent in Louisiana. I have thoroughly enjoyed walking around the city and learning more about who I am as a person, how I interact with the world around me and how these interactions can shape my future in the same way Binx goes through his life in The Moviegoer learning about who he is and where he is going. While I was reading this book, I had an such an intensified sense of place when I found that I could orient myself in the city much better. I wanted to get outside the book, or the room I was in, and experience what Binx could have experienced, and especially wanted to experience his love for moviegoing and idolization of classic Hollywood celebrities such as William Holden. So, I looked up old movie theaters and found The Prytania theatre, which had been referenced in another book that we have read for this class, John Kennedy Toole’s A Confederacy of Dunces and was amazed that a classic movie was soon to be shown, and it was a very relevant classic movie to our class: “King Creole” starring the one and only Elvis Presley. We made arrangements to visit the theater and watch the 1958 movie which was so incredible, not only because I love classic film and anything related to pop culture in the 20th Century, but also because I could imagine Binx sitting in a similar one-screen movie theater watching a black and white film on the screen and my relation to The Moviegoer was much more palpable after we saw the classic film. You cannot truly understand any part of the world if you read about it once, or if you hear about it just once. Take a hint from Binx Bolling and venture outside of the place you're in to experience the world around you to learn more about it but also, to learn more about yourself. Here are some foods that I tried for the first time in New Orleans: oysters, muffuletta and beignets. I learned how to play the piano when I was three years old. From that moment on, music was always in my life. I have played piano or other similar instruments like the keyboard or the organ for various music groups ranging from R&B ensembles to Latin/Afro-Cuban ensembles. The one genre I always wanted to play piano flawlessly for is one of the most difficult genres to perfect: jazz. To supplement our class’s discovery of jazz we read Michael Ondaatje’s Coming Through Slaughter, a rather poetic work that uses a surprisingly minimal knowledge of jazz pioneer and cornet player Charles “Buddy” Bolden and his frantic life before suffering from schizophrenia, being committed to an insane asylum and eventually dying at the young age of thirty-one. Coming Through Slaughter focuses on the Storyville district of New Orleans where gamblers and jazz musicians alike flocked and flourished at the beginning of the 20th Century. While the book itself focuses on the darkness of a man’s life in an oftentimes dangerous world, music, and in particular, jazz music, is the thread that weaves the work together. As a jazz aficionada I’ve seen my fair share of jazz concerts anywhere from my high school jazz band’s concert at a local jazz club to Herbie Hancock playing at Jazz at Lincoln Square in New York. So naturally I was excited to be able to sit close to the jazz band at Preservation Hall to listen to jazz music in the city that birthed the genre. My favorite song of the set that the band covered was “Tiger Rag”, that same song that Michael Ondaatje describes Buddy Bolden playing in order to calm the audience down a bit, especially since I have never heard this particular song played live. It was both a joy and somewhat haunting to have heard it live for the first time in the same city Buddy Bolden became a legendary jazz icon in. Music is a universal language and lies in the heart of New Orleans. In a city like New Orleans that has such a rich and vibrant cultural history, it’s no wonder that jazz music, based heavily on call and response and improvisation as well as cooperation from everyone in a jazz group to create serendipitous music, was born here. Christina and I were determined to have brunch at the famed Commander’s Palace, and we managed to get reservations for brunch one Sunday. Sunday Brunch at one of the greatest restaurants in New Orleans is called “Jazz Brunch” because a jazz band plays music as restaurant-goers dine. The three-piece jazz group, the guitarist, a bassist and a trumpet player/vocalist came to our table and when we failed to give them our request (in a moment of panic I couldn’t think of a single song) they elected to play the classic “On the Sunny Side of the Street”, a sweet song to accompany our brunch that day. Music is everywhere in New Orleans from the band at the wedding parade marching through the French Quarter to the laundromat that we went to do laundry at was once a recording studio in the early 1950s and had a jukebox in honor of the music that was once recorded there. It’s amazing to walk virtually anywhere in the city and realize that music is such a big part both the past and the present of New Orleans. In Kate Chopin’s The Awakening, the very first book our Maymester class read for the course, Chopin writes about the pirate treasure that was said to have been buried on one of the islands off of Louisiana’s Gulf Coast. While the purpose of these next few weeks the rest of the class and I will spend in Southern Louisiana isn’t necessarily about finding some famed pirate treasure, we’re bound to find other treasures traveling and bookpacking around Louisiana. 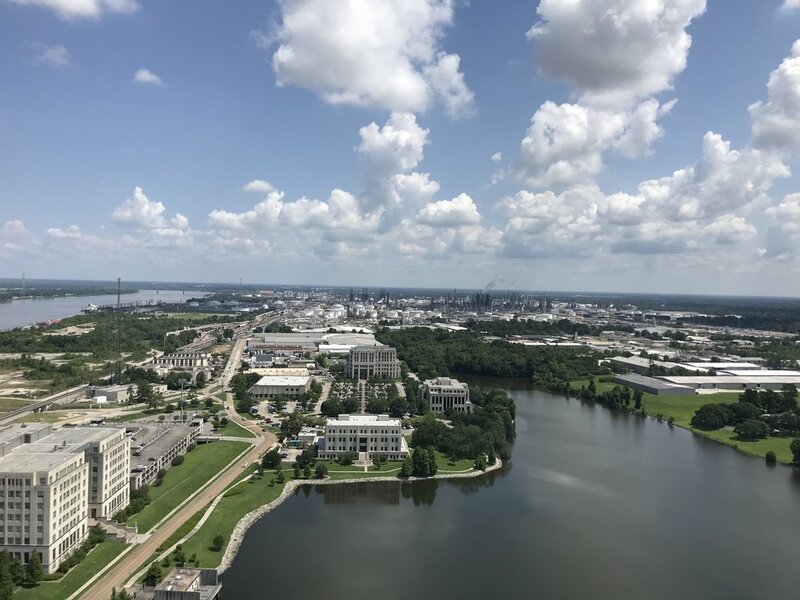 The day our class arrived in Louisiana, New Orleans specifically, we immediately packed up the cars and set off for Grand Isle where we settled into our cute and comfortable beach house. We spent the next few days here as we got a taste of life in the South. The academic year at USC had just ended and the stress and chaos of living in a cosmopolitan city like Los Angeles began to melt away with the Southern heat as I began to reacclimate myself to the heat and the humidity of the South that I hadn’t experienced since I transferred from Vanderbilt University a little over a year ago. 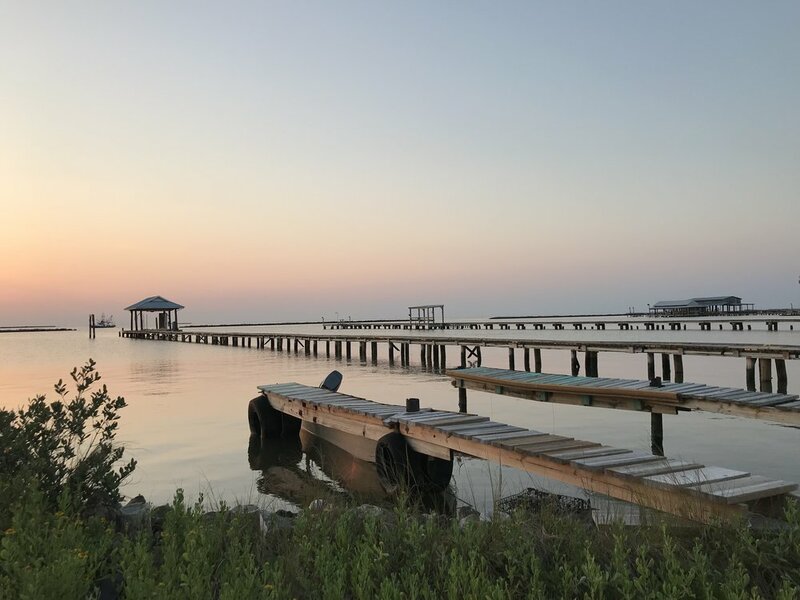 Our days spent in Grand Isle were a fun mix of getting to know our new classmates and fellow bookpackers, as well as our professor, and totally immersing ourselves in the books we were reading. The Awakening was a lovely book to start our trip off with as the first half of the novella takes place on Grand Isle. As I lay down on my towel in the burning hot sand and began to read the book, I couldn’t help but marvel in the fact that I was sitting on the beach of the Gulf of Mexico, the exact same beach that the main character, Edna Pontellier, fictitiously sat on in the later decades of the 19th Century when Chopin wrote the book. There is something absolutely mesmerizing about watching the waves crash into the ocean, especially here in the Gulf Coast where the water is warm. It was incredible to watch the water as it hit the beach and read on in The Awakening as Kate Chopin herself described the way the water looked in her work. Eventually, the sun began to set and it grew too dark to read but had more chances to explore the local treasures of Grand Isle including some great places to eat like the Starfish Restaurant, Jo-Bob’s Gas and Grill or Yum’s Restaurant where I tried a po-boy for the very first time. We also went to the Grand Isle State Park where we walked on the pier to look at the glistening water of the Gulf and to head off to the marina to catch a gorgeous sunset. We even visited the Grand Isle Cemetery and walked around the raised graves where generations and centuries of families have been buried. We also accidentally got locked out of our van, but with the help of a local man named Freddie and his Southern hospitality we were able to retrieve our keys from inside the car and resume our exploration of Grand Isle and Louisiana. There’s something about the South that is makes you feel at home. Maybe it’s the friendliness of the locals and their willingness to help out, maybe it’s the food or maybe it’s the humidity, but I forgot how much more relaxed life in the South was since leaving Nashville, which I immediately appreciated after having left the busy life of a large city. Two things are very prized and prevalent in Louisiana: LSU signs and flags and the motto laissez les bon temps rouler -- I know we’ll undoubtedly put that motto to good use throughout the remainder of our time finding our own treasures during our time spent in Louisiana.